We welcome you and your guests to enjoy Chef ’s beautiful banquet facilities. Our commitment to hospitality and quality food preparation is evident in everything we serve. We lovingly prepare fresh hors d’oeuvres, main courses, pasta dishes and vegetables. Our banquets always include Chef ’s famous sauces, homemade soups and freshly baked bread or rolls. 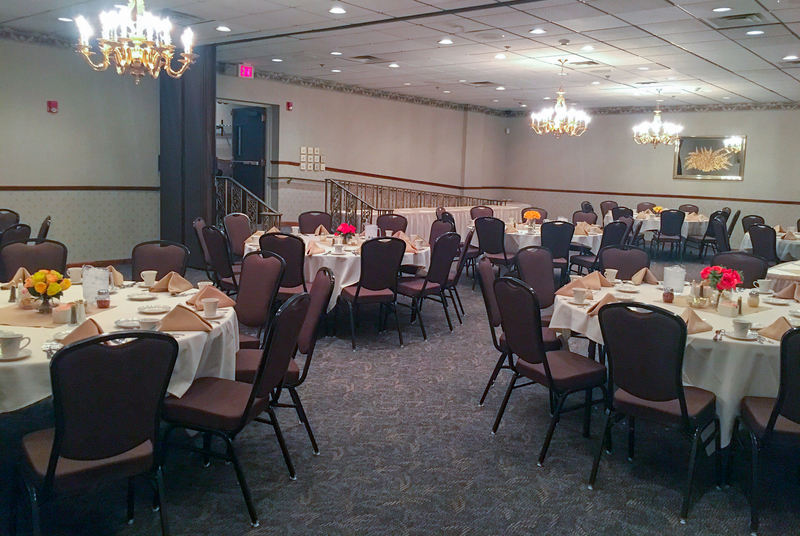 We are able to accommodate groups of up to 125 guests for all occasions. We host gatherings for every business and social event including holiday parties, wedding receptions, business meetings and cocktail buffets. Our rooms are available for breakfast, lunch and dinner seminars. We are conveniently located and provide free parking in a secure, well-lighted parking lot. We also provide a long list of amenities at no extra charge. While we have an array of packages to choose from, special menus are always available upon request. Our family and staff are dedicated to making your special occasion a memorable one. We look forward to helping you plan and host your next event. Please contact Suzanne, our banquet manager at 856-9187, email: [email protected] or stop in for a visit. Thank you for considering Chef ’s, our family-run restaurant has been a community meeting-place since 1923.